Home/General/We are not bound by religious differences; we equally supported Shiite Hezbollah along with Sunni Hamas and IslamicJihad and will keep doing that. 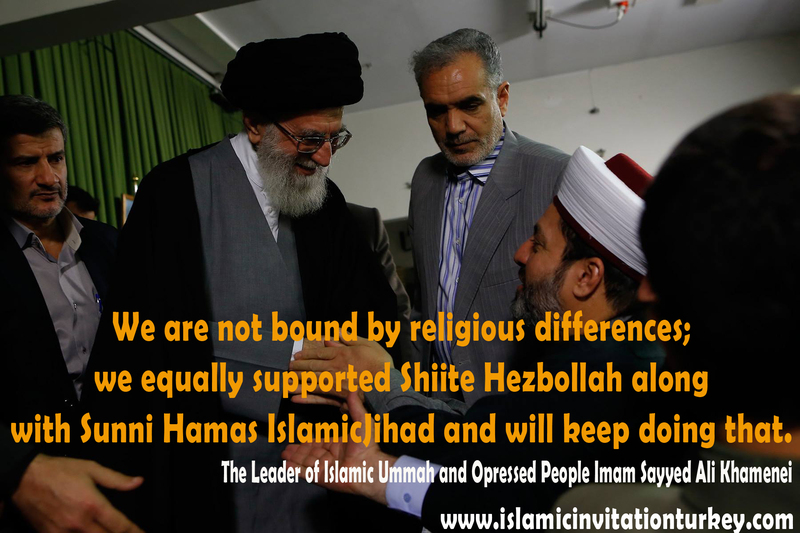 We are not bound by religious differences; we equally supported Shiite Hezbollah along with Sunni Hamas and IslamicJihad and will keep doing that. Martyr Mughniyeh’s biggest wish was the freedom of Palestine. Turkey and Barzani’s Kurdistan dream that Kurds are workers and Zionists are rulers is collapsing thanks to the victorious in Syria and Iraq. Turkish Government does anything with zionist regime of israel BUT still muslim!